Does the birth control pill alter your memory? 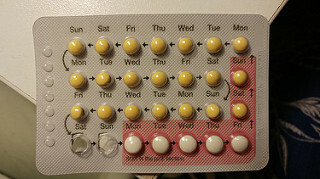 Lots of women know from personal experience that it can be hard to remember to take the birth control pill every day. But according to a new study, the birth control pill may actually alter the way women remember events. The study team from the University of California, Irvine, says that the pill doesn't cause amnesia, but it does change the particular aspects of an event that are remembered. To be more precise, the researchers said that pill users are more likely to remember the emotional impact of an event, while others tend to remember the factual details better. It s a change in the type of information they remember, not a deficit, graduate researcher Shawn Nielsen explained. She and her colleague on the study, neurobiologist Larry Cahill, also said that the findings correspond to earlier research into how hormones affect memory. While estrogen and progesterone have been said to be linked to analytical memory, the birth control pill suppresses them. The pill turns women into more of "right brain" thinkers, using their intuition and emotions to recall events. How did the researchers find out about this? What did they actually do? Let's take a look. Women in groups using the pill and not using oral contraceptives both looked at pictures of a cart accident a mother, son and car and were told a story about what happened. They were then interviewed about their recollection of the pictures and story a week later. The pill group was more likely to remember how the son was rushed to hospital and the medical staff worked hard to save his life, while the non-pill women recalled visual details like fire hydrant next to the car. Interestingly, researchers say that the pill group may have a recollection of events that is more similar to men. This study could open doors to other research into differences between male and female thinking. You may also like to read: Stress in the womb impacts future generations? A male birth control pill at last!